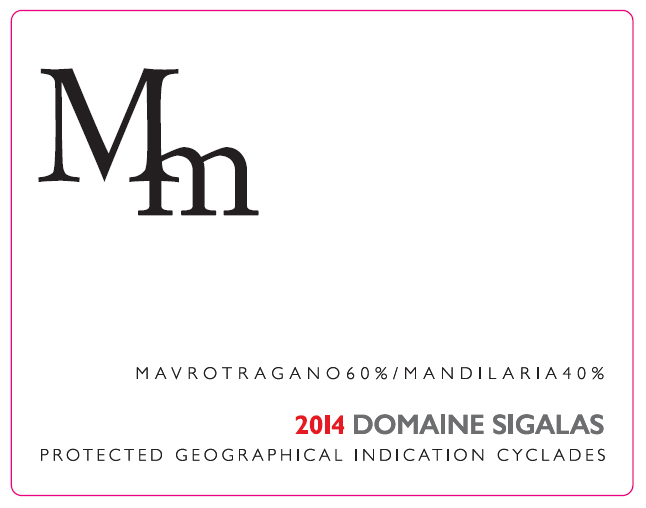 Sigalas Mm is a dry red wine of Domaine Sigalas. 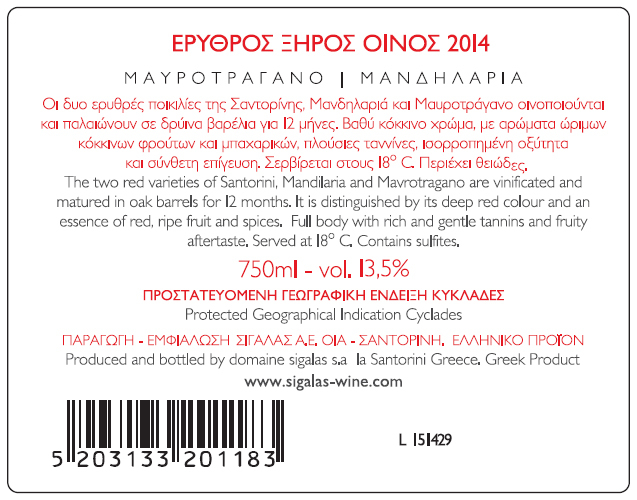 It is a blend of the two well-known varieties found in Santorini: Mavrotragano and Mandilaria. 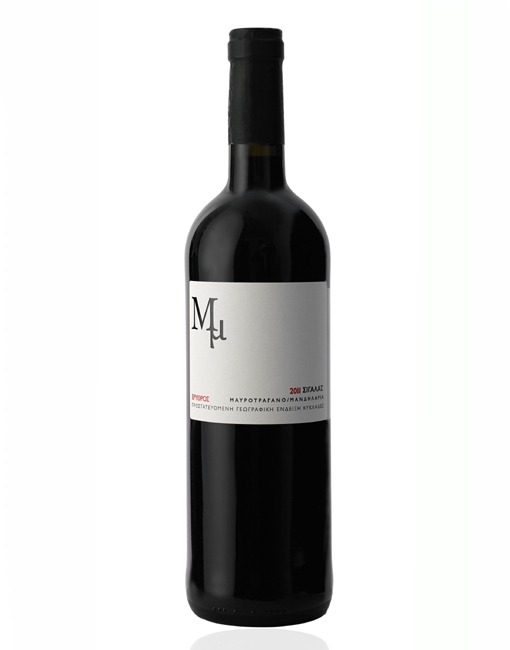 Its high acidity, due to the volcanic soil of the island, rich tannins and aromas of red fruit, leather and dried fruit make it ideal to counterbalance the fattiness of grilled or cooked meats, pasta with spicy sauces, as well as dishes with aubergines or mushrooms. 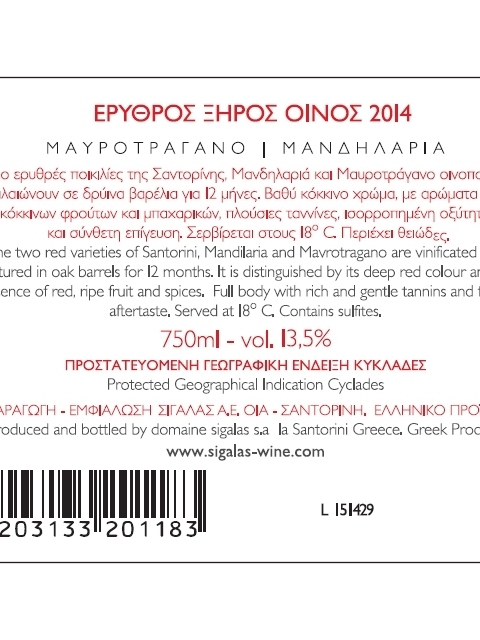 Clean, medium intensity, with aroma characteristics reminiscent of red fruits, plum, red cherry, leather and dry nuts. 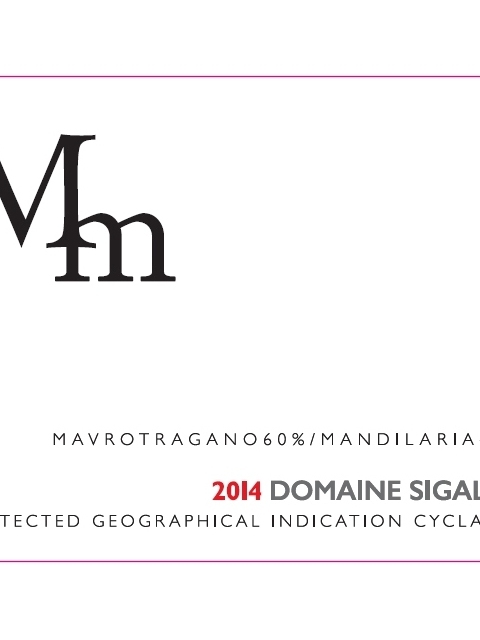 Dry, medium (+) acidity, medium (+) tannins, medium (+) alcohol, medium body. Medium flavor intensity with flavor characteristics reminiscent of plum, sour cherry, red fruit jam, ginger, pepper, tobacco, mushroom and herbal notes. Medium finish.